Cheering crowds. Colorful floats and balloons. Heart-pumping music and entertainment. There’s nothing quite like a parade, especially if you’re performing in one. For marching bands and performance groups, parades are a culmination of practice, hard work and pure passion, and some serious planning. It takes a lot of preparation to get to a parade. From the selection and application process to the day-of transportation and drop-off, parade trips can be difficult to organize. Throw in some unpleasant weather conditions or unforeseen issues, and it becomes even more challenging. However, with the right tools, advice and assistance, directors can plan a successful parade trip for their band. When band directors decide they want to do a parade, the first thing to do is to determine the wants and needs of the group. “We are always trying to find out the directors’ expectations, the goals, their budget, a destination they want to go to and the kind of parade experience they are looking for,” said Todd Rogers, vice president of sales at Bob Rogers Travel. It’s important to know what you want to get out of the trip, and the kind of parade that will allow you to reach that goal, he explained. Transportation depends on the location of your selected parade and distance your band or performance group must travel to get there. Renting a motorcoach is highly recommended for shorter trips to nearby regions or states. 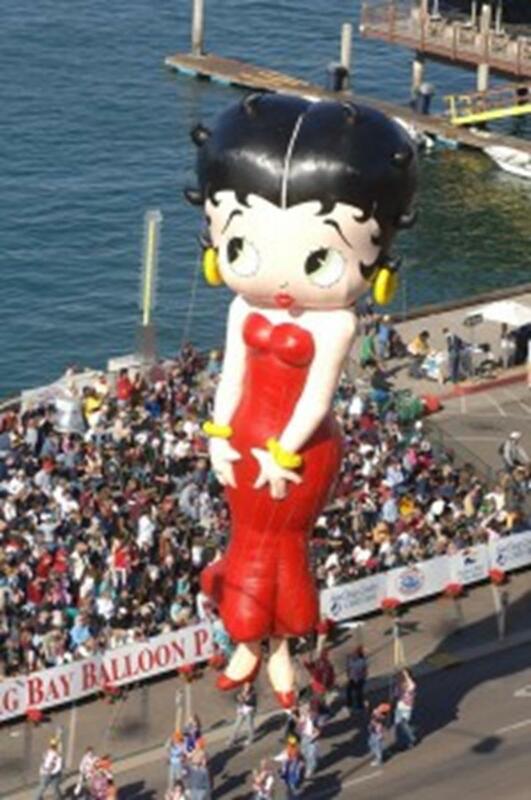 Many parade experts suggest driving even for longer trips to avoid the hassles and high costs of flying. Flying also presents other issues that band directors and performers need to be aware of. Instruments could get damaged on the plane or lost all together. It’s wise to implement an instrument check for your band upon arrival and to have contact information for music stores or local band directors in the area in case pieces or whole instruments need to be replaced. Another helpful tip is to schedule flights one to two days in advance of the parade, which provides bands a bit of a buffer in case there are weather delays or mechanical issues. Transportation to and from the parade route can be tough to coordinate, especially with so many bands, spectators, floats and performance groups congregating in the same area. It’s a good idea to work with the parade director or a tour operator who knows the best places to drop off and pick up band members. In case you didn’t know, parades take place outside, which means weather is always a concern. Bands know best what they need in order to perform well, but some key advice from tour operators is to stay hydrated and nourished, bring extra layers or rain protection, wear lighter uniforms or monogrammed shirts in hot weather, and bring a nurse if possible. “Weather dictates the uniform,” said Michael Embrey of FunMe Events. “Some groups, not all, have rain gear. Or they’ll march without their hats or their plumes” if it’s raining. In extreme cold or heat, keep bands protected either on the bus or in a heated or air-conditioned area, and have people on hand to help if members faint during the parade. In addition, be sure bands get plenty of practice beforehand. “We encourage them to do rehearsals prior to get in shape,” said Rogers. “Make sure the kids are used to marching for however long the [parade] is.” That way, the chance of injury or exhaustion is reduced. After the parade itinerary is built, the next important element is finding the right accommodations. When researching hotels, be sure to inquire about their experience with students, as well as how much space and parking they have. Location also plays a role, especially when thousands of people are in town for the parade. Rickert suggests asking about the kind of breakfast served and if there is private event space for storing equipment or hosting pre- and post-parade meetings. Dining arrangements outside the hotel can be difficult, especially with a band of 300 people. If there are restaurants with that capacity, then you can arrange a lunch or dinner for the entire band all at once. More often than not, bands may have to be split up for meals, especially if members want to experience more of the city. In that case, have plenty of chaperones that can be with each group at different locations. Some directors may want to add a few activities and educational elements to the trip, and that is highly encouraged by experienced tour operators. 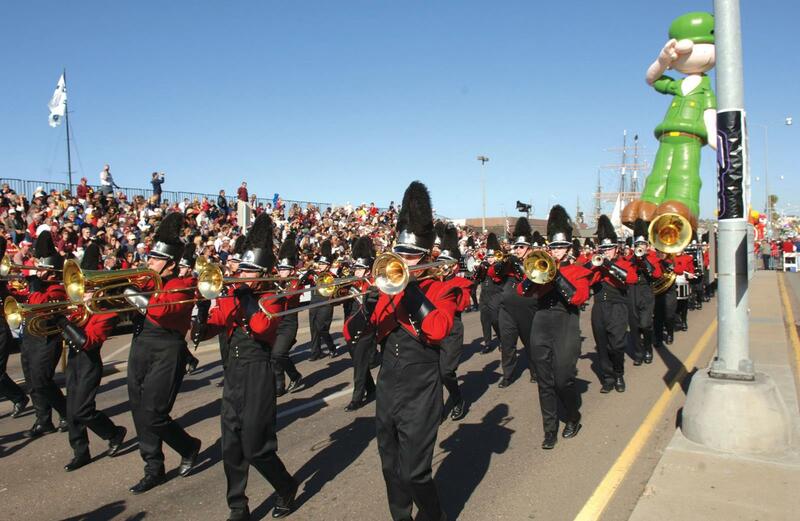 Organizing a parade trip for a marching band or performance group is a challenge, there’s no denying it. However, with plenty of preparation—and multiple backup plans—it can be rewarding for all participants. Because, let’s face it, there really is no stage quite like a parade.